Well, it didn’t take me very long to put together the quilt top using the bird fabric bundle I showed off yesterday. 🙂 I took a bit of time cutting the fabric to make sure I kept the orientations “right side up”, but 1.5 hours after I got started, I was ready to piece the quilt top. Another 3 hours and 10 minutes later (4 hours and 40 minutes of total time), I can now say I have the quilt top pieced and ready to quilt! This won’t be the first quilt to get quilted this week, though. Today Miss A and Mr. L are visiting me again. Their mother had them draw straws, and Miss A was the lucky winner, so she will be getting to try out the longarm and quilting her quilt! In addition, I am really hoping to be able to finish piecing the Rainbow Scrap quilt and get it quilted soon, too. And I have a few more quick baby sheet quilts to make on commission and to re-stock my Etsy store, so this month will hopefully be busy for finishes for me! In addition, I dropped off Triangle Transparency and Lucent at my local fairgrounds yesterday. I look forward to getting to see them hang on display later in the month! I have a busy few weeks ahead; what are you working on? Gosh that was quick , even for you . Meant to add to your last post , those were great yard sale buys. We don’t have yard sales here , pity. My husband would say just as well ! We were all very careful to keep our birds heads up on Rebecca’s round robin quilt too. It is funny how the mind works, right? This is a great pattern to feature larger prints like those you have used. I know you say it took a lot of time, but you seem very efficient and speedy to me! A super quick and lovely quilt top. Have fun quilting with Miss A.
oh I am looking forward to seeing A & L’s quilts – they must be very excited! 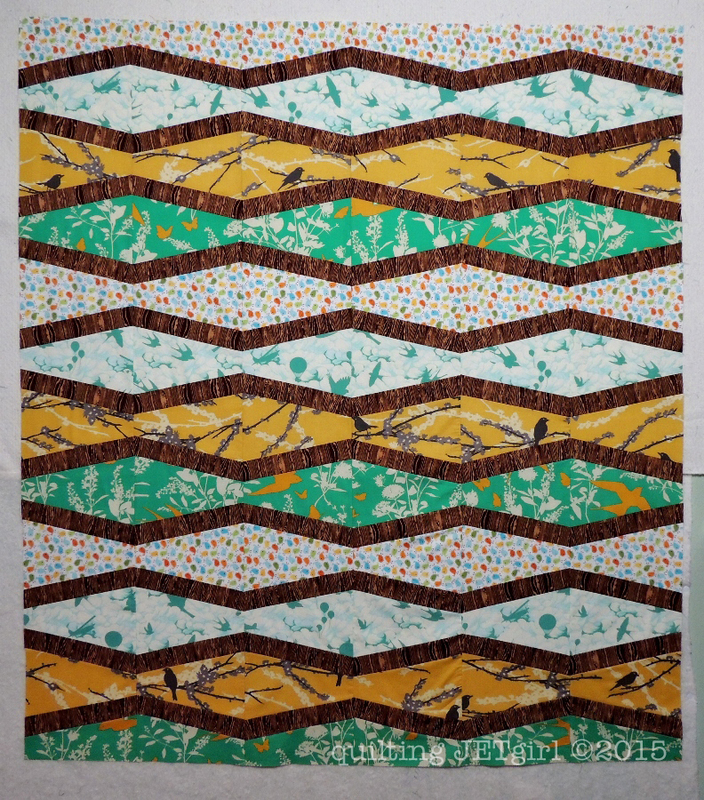 Love the branch effect on your bird quilt! You are lightening fast Yvonne! Love the design for this quilt! Lots of quilting in store for you this week and I’m looking forward to seeing what you come up with! Especially on the rainbow quilt! Sounds like a busy week for you! But a satisfying one, with finishes and quilting with Miss A and Mr. L. Enjoy! That was quick piecing. It looks great. I hope Miss A has fun quilting with you. Those colors together are so not my style, but you can’t go wrong with snails, birds, airplanes, hot air balloons! I can’t wait to see the quilting that Miss A does on her quilt! How cool she will be able to point at it and say “I did that!” Good luck at the fair! Our drop off isn’t for another 3 weeks…must decide which quilts to enter. That was quick! I wasn’t sure how they would all come together, but this looks fab! Man, you are one fast sewer! I’m very impressed. Can’t wait to hear how the little ones do on the long arm. I’m sure you’ll be a good teacher. It’s true – you DO sew at the speed of sound! 🙂 Love your bird quilt, the design is so interesting and really catches your eye. I can’t wait to see it quilted! Speedy again! And you sound super busy too. I do like your flimsy, particularly when I look at it not ‘close up’, but I am a bit sad to see those swallows chopped up! And the pattern is lovely but it doesn’t yield enough whole (or nearly whole swallows!) for my liking, which is why I prefer to look at it not so close up! Are you sure you don’t quilt at the speed of light!? Wowza! I think that amount of time put into quilting would take me at least a week and a half to accrue. It turned out quite well! Congratulations on the quilts in the fair, too! 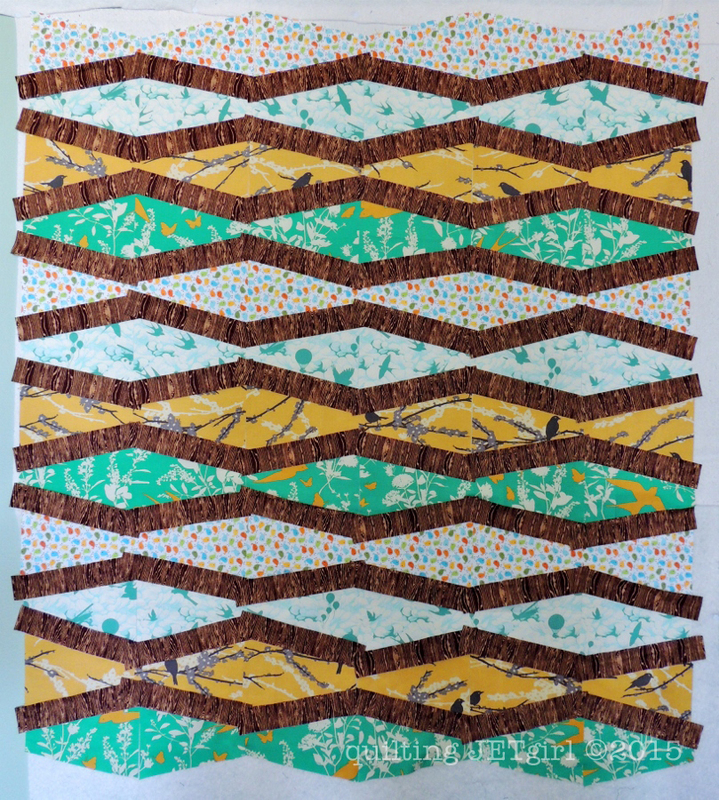 It will be fun to see how the judging comments evolve over the years as your quilts develop and meld into your more experienced style. Yvonne, you amaze me with how quickly and wonderfully you put together a quilt. I really like the design and fabrics you chose, they work well together and makes me think of the hundreds of birds of every shape, color and size that we have flying all over our property, garden and hundreds of trees. I live in Southern Oregon out in the woods. 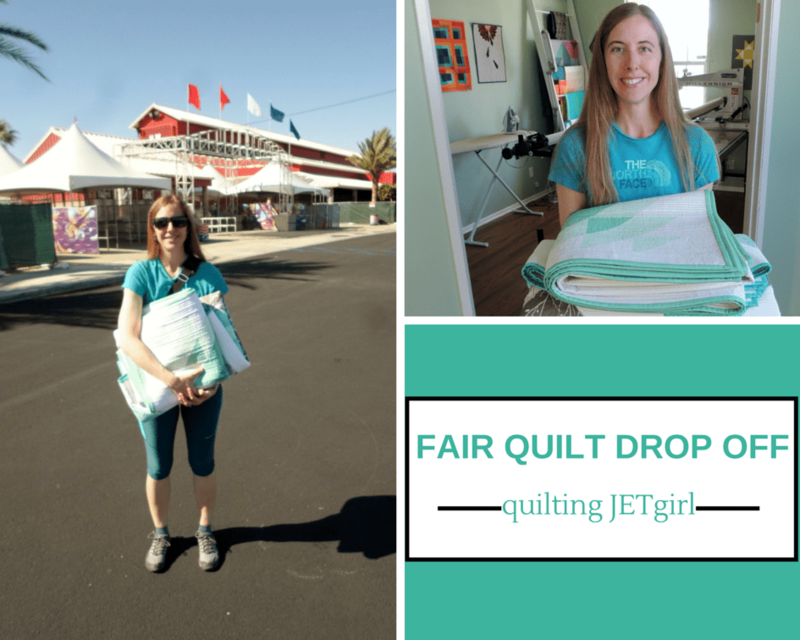 Have fun with all of your quilting projects and great luck at the fair! I am not sure if our town is having the fair this year. But, I will have to think about entering one of my quilts. Thank you for sharing and have a wonderful creative day! That was fast! I have some of the Joel Dewbury bird print somewhere and you make me think I should dig it out. This is such an effective layout for showing off special fabrics. Great flimsy finish. I love that you kept all the birds upright. We are alike in keeping prints like that straight.